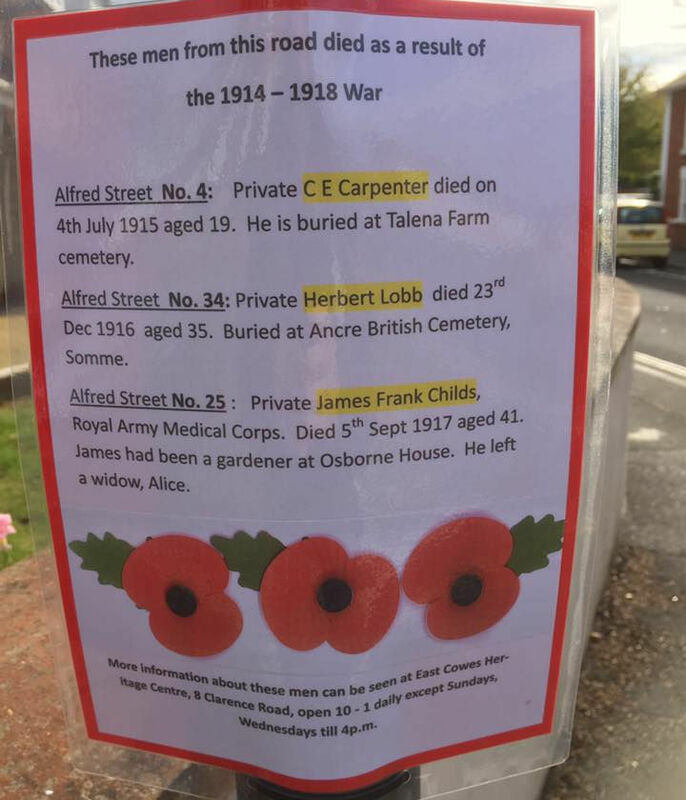 Those from East Cowes who lost their lives in the First World War have been remembered with these tributes around the town. Lest We Forget. This coming weekend brings with it a series of events to mark the end of the First World War. 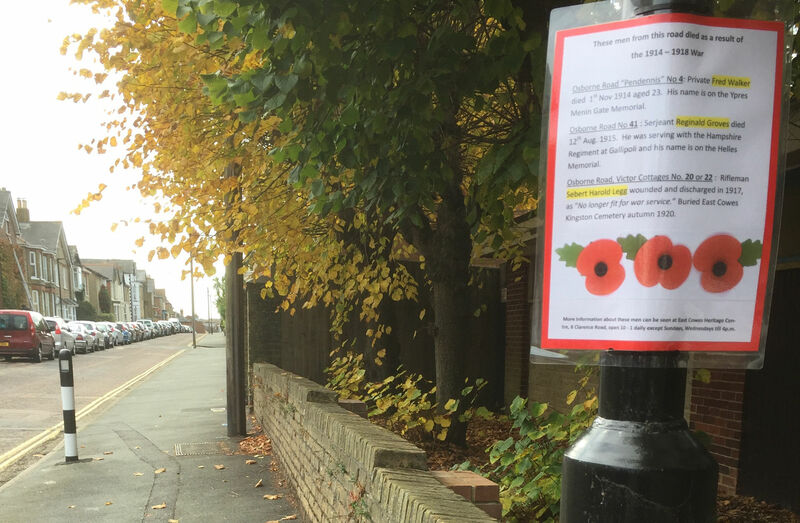 As part of the commemorations, the team at East Cowes Heritage Centre have been busy remembering those from the town who lost their lives as a result of the war between 1914-1918. 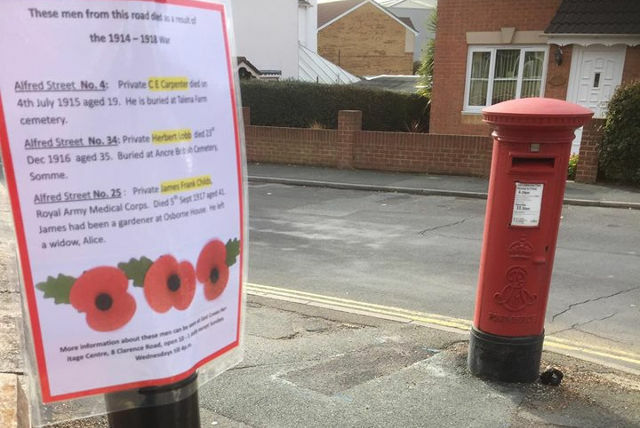 They have posted tributes in the streets that lost their men with details of what number they lived at, when the died and where they are buried. You can find out more by visiting the East Cowes Heritage Centre in Clarence Road, open daily 10am-1pm except Sundays and open until 4pm on Wednesdays.